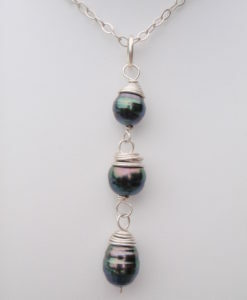 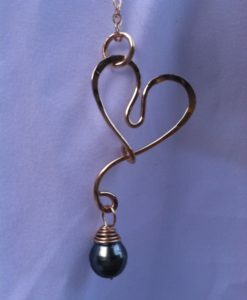 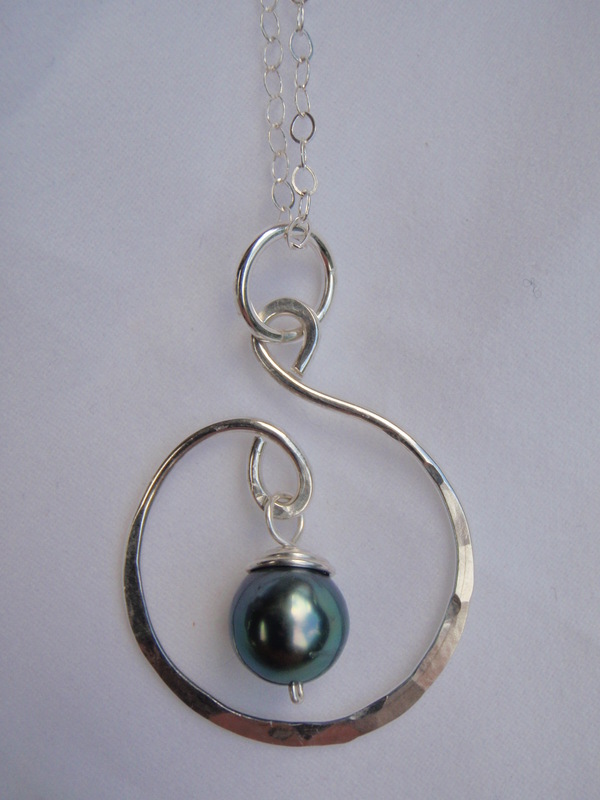 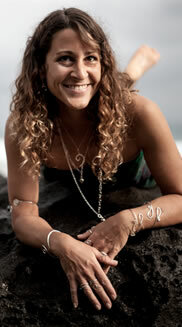 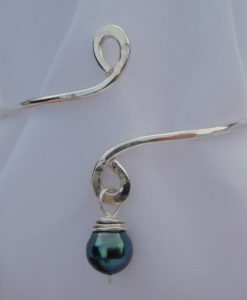 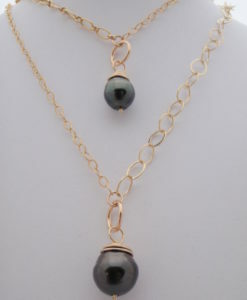 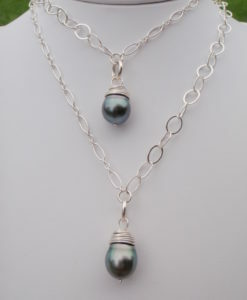 Feel the Ocean by wearing an exquisite Tahitian Pearl! 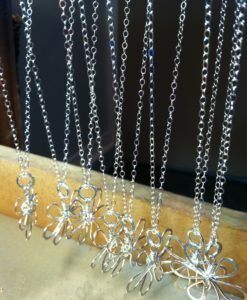 Lots of beautiful craftsmanship in this necklace! 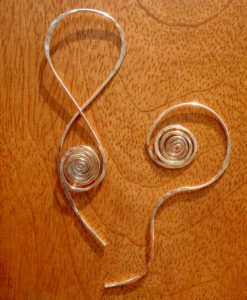 Hand twisted and hammered Argentium Silver. 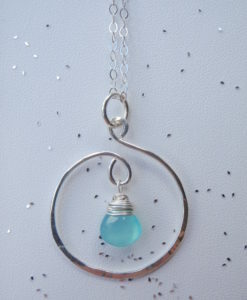 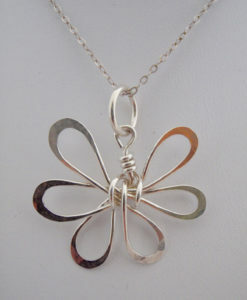 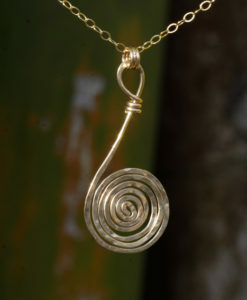 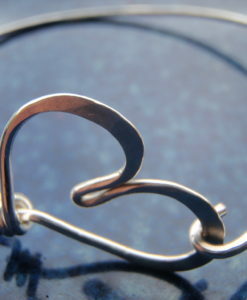 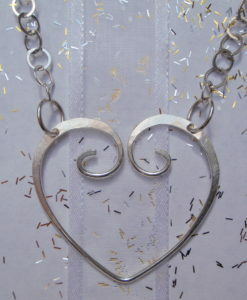 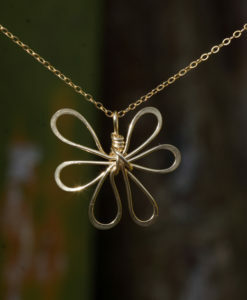 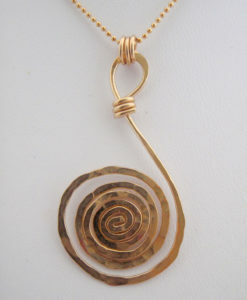 The pendant has a 17″ Removable chain. The Lustrous 9mm pearl is straight from Tahiti! 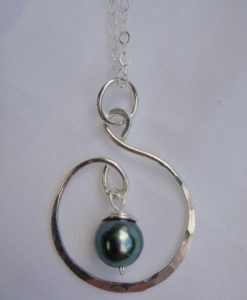 This gorgeous pearl lived was inside of an oyster for 2-3 years! 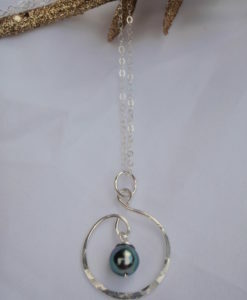 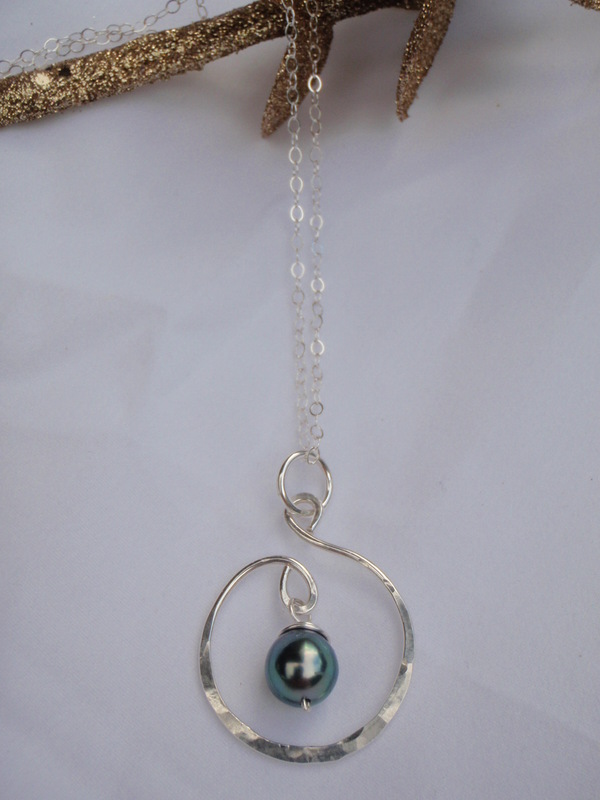 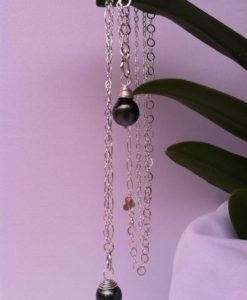 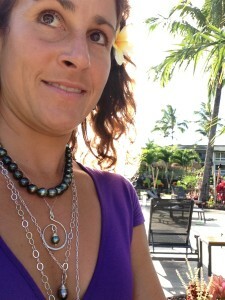 The Hand Made Showcase Silver Tahitian Pearl Necklace makes an elegant Hawaii gift for yourself or any occasion such as Valentine’s Day, Christmas, Hanukkah, Wedding, Anniversary or Birthday.